As we head towards winter, why not take a walk through the Copse and enjoy the altering scene as we change seasons. 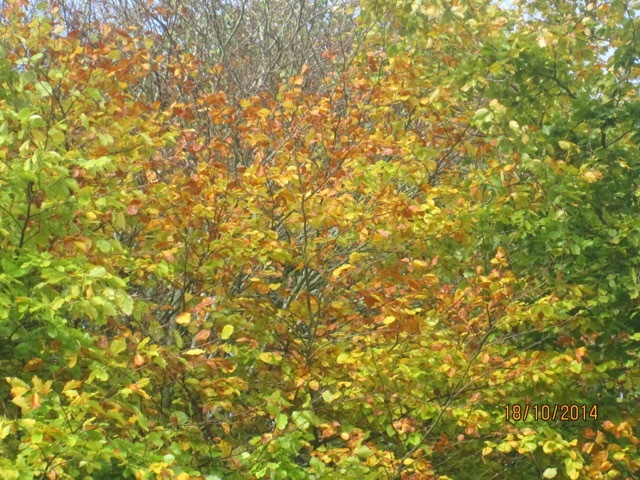 You will see the lovely autumn colours as the trees and bushes start to lose their leaves. Last December, was the month to see the best colour display. As a friends group we carry out less work in the Copse during the winter months owing to the change of weather. Usually meaning it might be too muddy. 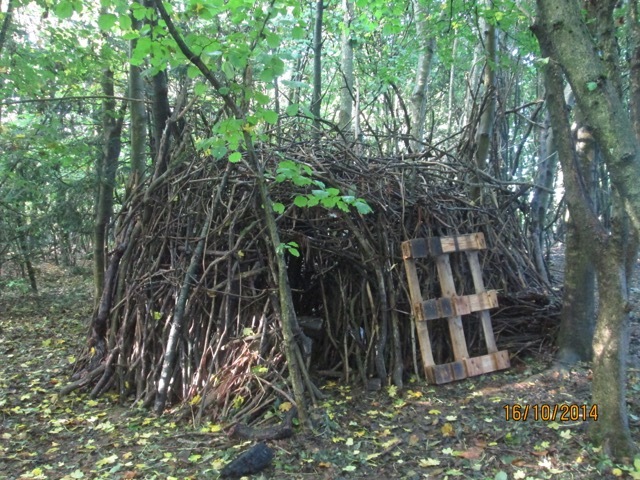 Some of our younger visitors have been busy making dens and it is great to see how a child's creative mind can work. The picture above is one made of branches. Contribute to your local Community. Work with, and get to know your local Park Ranger. The Friends of the Three Cornered Copse meet together regularly to keep things beautiful for the enjoyment of all. If you would like to join our friendly team please do come along to our next Workday on Saturday 22nd November 2014 10.00am until 1.00pm (stay as long as you like). At this workday we hope to put down some Meadow Mix to encourage Bees and Butterflies next spring. The Friends Group take a break in December 2014, but meet up again on Saturday 31st January 2015. We always meet at the bench near the Silver Birch Trees at the bottom of the green slope. Come along and join in the fun.